SMART Communications Inc.'s Chairman Manny V. Pangilinan (MVP), recently announces an earliest Christmas gift for all, that is a FREE Internet access to all prepaid subscribers through their mobile phones. 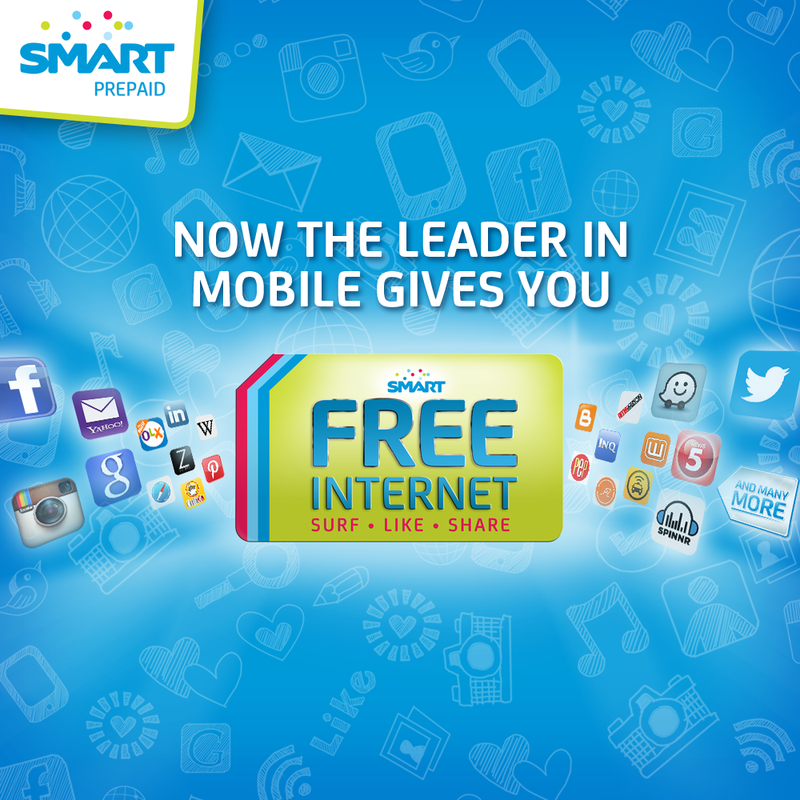 All Smart, Talk 'N Text and Sun Cellular prepaid subscribers can now enjoy free internet anytime, anywhere. Subscribers can now access free internet through their data-capable feature phones or smartphones running on Android, iOS and Windows operating systems. This early Christmas gift from SMART will be available until November 30 and I'm pretty sure it will be extended and our Christmas gift will be given and more surprises. To avail the free mobile internet offer, Smart, Talk 'N Text ans Sun Cellular prepaid subscribers, one must have at least one peso balance or is subscribed to any load bucket or promo. They must REGISTER each day, by texting FREE to 9999 and it is free as well. They will receive a SMS message to confirm their successful registration. One can enjoy up to 30MB free data per day.